On today’s episode of THE FOOD SEEN, we travel through the food world with John Sconzo (docsconz.com). If you’ve been to any chef’s event (e.g. 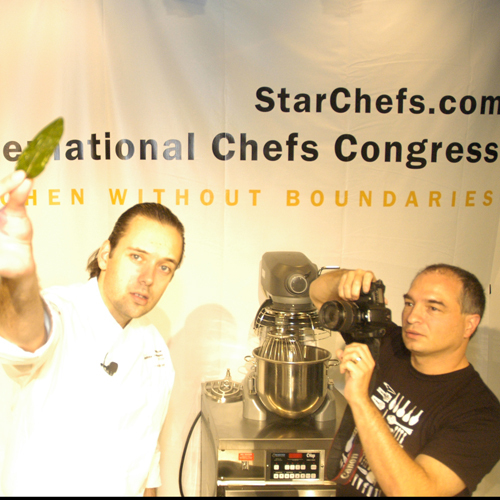 StarChefs, Madrid Fusion, Bocuse D’Or) you’ve probably met the guy behind the lens, who’s dined at half of the World’s Fifty Best Restaurants, and who’s affectionately know as “Doc”. Sconzo grew up in Brooklyn, NY, eschewing foods like onions, mushrooms and cheese, the turning point, an online forum in 2003 called eGullet, and an opinionated, but not self-important, a community of foodies. This gave Sconzo the culinary voice he was longing to have. Though he’s really an anesthesiologist, hence “Doc”, food has always been his medicine. Now he takes groups of adventurous eaters to New Orleans, New York City, Italy and Barcelona, for intimate insider tours with renowned chefs like Massimo Bottura and Albert Adria. Check out www.docsconztravel.com for more of Doc’s culinary travels, and to join in on the food fun!